OAKLAND — A fire that broke out on the night of Dec. 2 in an Oakland warehouse that had been converted into an arts space claimed 36 lives, according to city and county authorities. The victims were attending an electronic music event, the Golden Donna 100% Silk 2016 West Coast Tour, on the second floor of the building, known as the Ghost Ship, in Oakland’s Fruitvale District. Following are brief profiles of two of those who perished. • The family of Jennifer Kiyomi Tanouye, 31, of Oakland feared the worst when she could not be reached by phone, her vehicle was found at the scene, and she did not turn up at local hospitals. “It’s been a lot of sitting and waiting,” brother Kevin Tanouye told The East Bay Times on Saturday. He said that his older sister may have gone to the party to do nail art for concert-goers, something that she enjoyed doing. 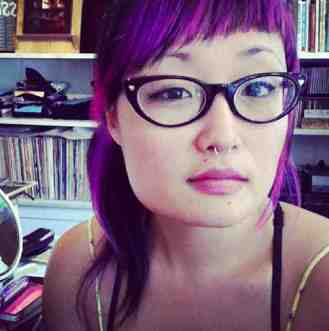 According to her Facebook profile, Kiyomi Tanouye, the daughter of Court and Tomoko Tanouye, was music manager at Oakland-based Shazam, which makes music-identification apps for computers and smart phones, and previously worked at Oakland-based Issues on Glen, an indie magazine shop, and Exploratorium, an interactive science museum in San Francisco. She also managed Mission Creek Oakland, an annual music and arts celebration of Bay Area indie bands. “With broken hearts, our family received the news today that our daughter Jenny Morris, who was listed as missing at the Oakland warehouse fire, has been identified,” they wrote. “This is devastating as Jenny was such a beautiful, intelligent, creative, caring and sincere young lady with a bright future ahead of her. “Jenny attended a Christian church and made a confession of faith and accepted Jesus into her heart during her youth. We are confident that she is now in the presence of the Lord in heaven and we will see her again someday. “We deeply appreciate the outpouring of support, prayers and love by our family and friends to us during this extremely difficult time. “We’ve created a private Facebook group to show how much we all loved Jenny. Please join and post your thoughts, memories, photos and prayers there for us to remember. Born in San Mateo, Morris was a student at UC Berkeley who expected to graduate in 2018. 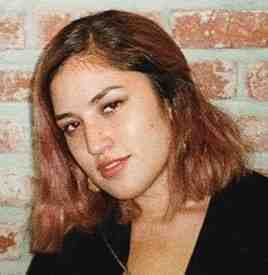 Her roommate at Cal’s Unit 2 residence hall, Vanessa Plotkin, originally from Long Beach, was also among the casualties. Morris, who would have turned 22 on Dec. 20, previously attended San Mateo High School and UC Santa Cruz. She was a photographer who enjoyed shooting with film and posted her works on Lomography.com. Two of Morris’ high school teachers shared their recollections with KRON-TV. Choir teacher Shawn Reifschneider said she loved to sing with friends as she strummed her ukulele. He added that she was the type of person who got along with everyone and had a unifying presence among the other students. An estimated 20 to 25 artists lived and worked at the Ghost Ship, though it was not licensed for residential use and had no smoke detectors or sprinkler system. The dance party also did not have a permit. The building was full of furniture, musical instruments and other objects. Firefighters said some of the victims might have been trapped when they couldn’t escape down a makeshift stairwell made out of wooden pallets. A second floor had been illegally added for use as a music venue. Property records show that the warehouse’s owners had been cited for city code violations involving hazardous trash and debris. A former resident told CNN that fires were sparked by faulty electrical cords when she was living there. Some area residents have raised questions as to why authorities did not take action even though the site was known for years to be a fire hazard. The cause of the fire has not been determined, but a criminal investigation by the Alameda County District Attorney’s Office is under way.